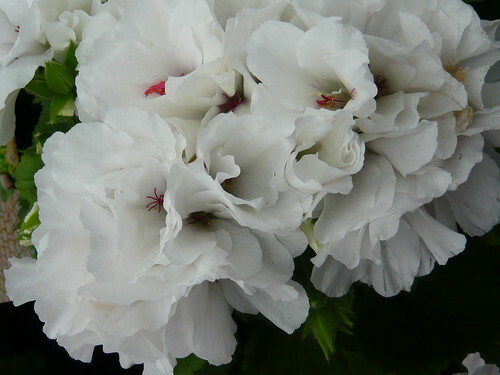 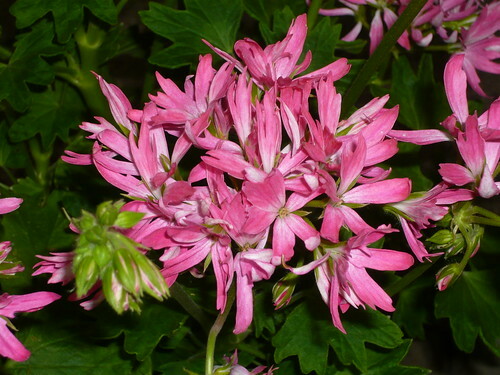 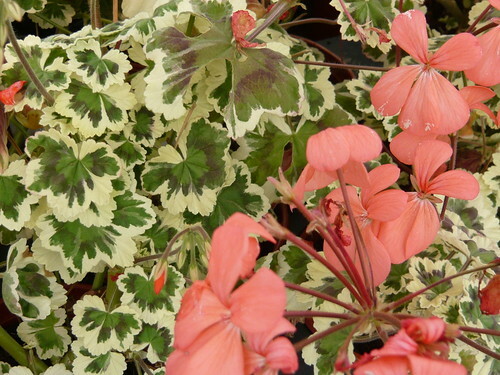 Photogenic Regals, Angels, Zonals, Scented leaved, Dwarfs, Miniatures, Alpine, Stellar, Ivy Leaved and Uniques are all types of Pelargonium. 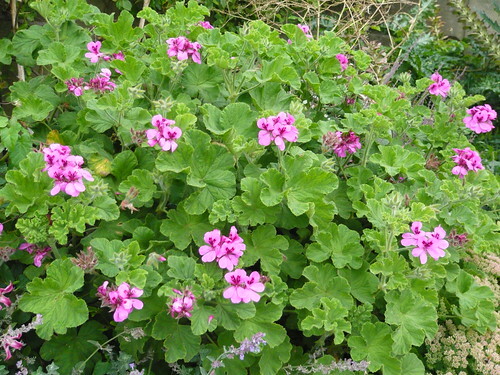 It is this variety that makes Pelargoniums photogenic and more importantly worth growing as a hobby for house, conservatory or garden. 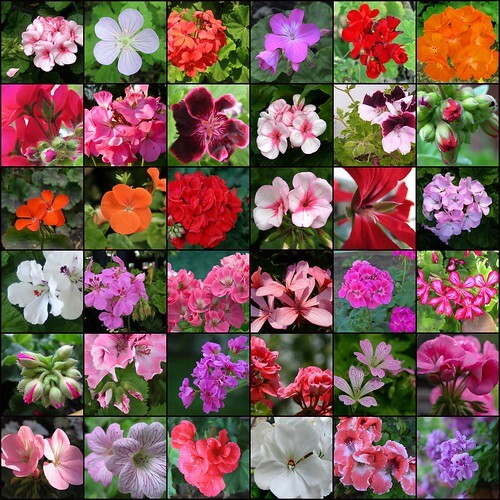 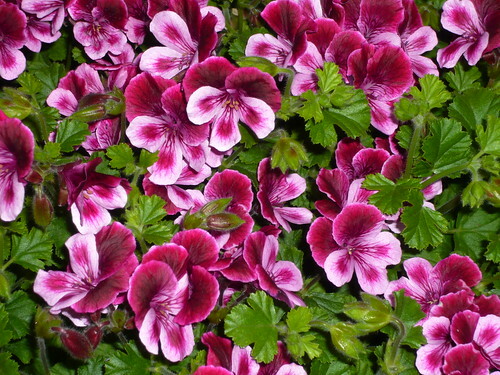 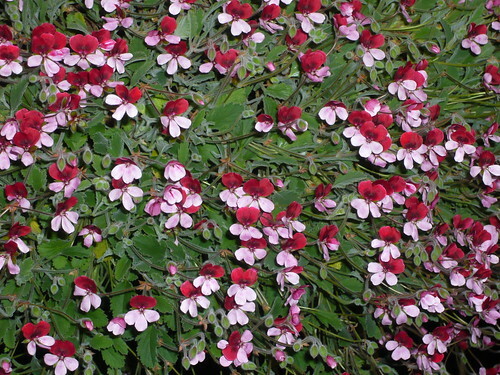 A mosaic of Pelargoniums shows the variety of flower and colours that these plants can produce.